For other uses, see Jersey (disambiguation). by Gerard Le Feuvre; official for occasions when distinguishing anthem required. Rank based on population density of Channel Islands, i.e. including the Bailiwick of Guernsey. The Government of Jersey issue their own sterling notes and coins (see Jersey pound). In a referendum on 16 October 2008, voters rejected a proposal to adopt Central European Time by 72.4%. 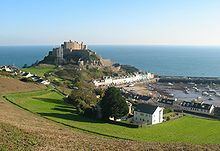 Jersey (/ˈdʒɜːrzi/, French: [ʒɛʁzɛ]; Jèrriais: Jèrri IPA: [dʒɛri]), officially the Bailiwick of Jersey (French: Bailliage de Jersey; Jèrriais: Bailliage dé Jèrri), is a Crown dependency located near the coast of Normandy, France. It is the second closest of the Channel Islands to France, after Alderney. Jersey was part of the Duchy of Normandy, whose dukes went on to become kings of England from 1066. After Normandy was lost by the kings of England in the 13th century, and the ducal title surrendered to France, Jersey and the other Channel Islands remained attached to the English crown. The bailiwick consists of the island of Jersey, the largest of the Channel Islands, along with surrounding uninhabited islands and rocks collectively named Les Dirouilles, Les Écréhous, Les Minquiers, Les Pierres de Lecq, and other reefs. Although the bailiwicks of Jersey and Guernsey are often referred to collectively as the Channel Islands, the "Channel Islands" are not a constitutional or political unit. Jersey has a separate relationship to the Crown from the other Crown dependencies of Guernsey and the Isle of Man, although all are held by the monarch of the United Kingdom. Jersey is a self-governing parliamentary democracy under a constitutional monarchy, with its own financial, legal and judicial systems, and the power of self-determination. The Lieutenant Governor on the island is the personal representative of the Queen. Jersey is not part of the United Kingdom, and has an international identity separate from that of the UK, but the UK is constitutionally responsible for the defence of Jersey. The definition of United Kingdom in the British Nationality Act 1981 is interpreted as including the UK and the Islands together. The European Commission have confirmed in a written reply to the European Parliament in 2003 that Jersey is within the Union as a European Territory for whose external relationships the UK is responsible. Jersey is not fully part of the European Union but has a special relationship with it, notably being treated as within the European Community for the purposes of free trade in goods. British cultural influence on the island is evident in its use of English as the main language and the British pound as its primary currency, even if some people still speak the Norman language. Additional cultural commonalities include driving on the left, access to the BBC and ITV regions, a school curriculum following that of England, and the popularity of British sports, including cricket. The Channel Islands are mentioned in the Antonine Itinerary as the following: Sarnia, Caesarea, Barsa, Silia and Andium, but Jersey cannot be identified specifically because none corresponds directly to the present names. The name Caesarea has been used as the Latin name for Jersey (also in its French version Césarée) since William Camden's Britannia, and is used in titles of associations and institutions today. The Latin name Caesarea was also applied to the colony of New Jersey as Nova Caesarea. Andium, Agna and Augia were used in antiquity. Scholars variously surmise that Jersey and Jèrri derive from jarð (Old Norse for "earth") or jarl (earl), or perhaps a personal name, Geirr ("Geirr's Island"). The ending -ey denotes an island (as in Guernsey or Surtsey). Jersey history is influenced by its strategic location between the northern coast of France and the southern coast of England; the island's recorded history extends over a thousand years. La Cotte de St Brelade is a Palaeolithic site inhabited before rising sea levels transformed Jersey into an island. Jersey was a centre of Neolithic activity, as demonstrated by the concentration of dolmens. Evidence of Bronze Age and early Iron Age settlements can be found in many locations around the island. Additional archaeological evidence of Roman influence has been found, in particular at Les Landes, the coastal headland site at Le Pinacle, where remains of a primitive structure are attributed to Gallo-Roman temple worship (fanum). Jersey was part of Neustria with the same Gallo-Frankish population as the continental mainland. Jersey, the whole Channel Islands and the Cotentin peninsula (probably with the Avranchin) came formerly under the control of the duke of Brittany during the Viking invasions, because the king of the Franks was unable to defend them, however they remained in the archbishopric of Rouen. Jersey was invaded by Vikings in the 9th century. In 933 it was annexed to the future Duchy of Normandy, together with the other Channel Islands, Cotentin and Avranchin, by William Longsword, count of Rouen and it became one of the Norman Islands. When William's descendant, William the Conqueror, conquered England in 1066, the Duchy of Normandy and the kingdom of England were governed under one monarch. The Dukes of Normandy owned considerable estates in the island, and Norman families living on their estates established many of the historical Norman-French Jersey family names. King John lost all his territories in mainland Normandy in 1204 to King Philip II Augustus, but retained possession of Jersey and the other Channel Islands. In the Treaty of Paris (1259), the English king formally surrendered his claim to the duchy of Normandy and ducal title, and since then the islands have been internally self-governing territories of the English crown and latterly the British crown. On 7 October 1406, 1,000 French men at arms led by Pero Niño invaded Jersey, landing at St Aubin's Bay and defeated the 3,000 defenders but failed to capture the island. In the late 16th century, islanders travelled across the North Atlantic to participate in the Newfoundland fisheries. In recognition for help given to him during his exile in Jersey in the 1640s, King Charles II of England gave Vice Admiral Sir George Carteret, bailiff and governor, a large grant of land in the American colonies in between the Hudson and Delaware rivers, which he promptly named New Jersey. It is now a state in the United States. Aware of the military importance of Jersey, the British government had ordered that the island be heavily fortified. On 6 January 1781, a French invasion force of 2,000 men set out to take over the island, but only half of the force arrived and landed. The Battle of Jersey lasted about half an hour, with the English successfully defending the island. There were about thirty casualties on each side, and the English took 600 French prisoners who were subsequently sent to England. The French commanders were slain. Trade laid the foundations of prosperity, aided by neutrality between England and France. The Jersey way of life involved agriculture, milling, fishing, shipbuilding and production of woollen goods. 19th-century improvements in transport links brought tourism to the island. During the Second World War, some citizens were evacuated to the UK but most remained. Jersey was occupied by Germany from 1 July 1940 until 9 May 1945, when Germany surrendered. During this time the Germans constructed many fortifications using Soviet slave labour. After 1944, supplies from mainland France were interrupted by the D-Day landings, and food on the island became scarce. The SS Vega was sent to the island carrying Red Cross supplies and news of the success of the Allied advance in Europe. The Channel Islands were one of the last places in Europe to be liberated. 9 May is celebrated as the island's Liberation Day, where there are celebrations in Liberation Square. Jersey's unicameral legislature is the States Assembly. It includes 49 elected members: 8 senators (elected on an island-wide basis), 12 Connétables (often called 'constables', heads of parishes) and 29 deputies (representing constituencies), all elected for four-year terms as from the October 2011 elections. There are also five non-voting members appointed by the Crown: the Bailiff, the Lieutenant Governor of Jersey, the Dean of Jersey, the Attorney General and Solicitor General. Jersey has one of the lowest voter turnouts internationally, with just 33% of the electorate voting in 2005, putting it well below the 77% European average for that year. The Council of Ministers, consisting of a Chief Minister and nine ministers, makes up part of the Government of Jersey. Each minister may appoint up to two assistant ministers. A Chief Executive is head of the civil service. Some government functions are carried out in the island's 12 parishes. The Bailiff is President (presiding officer) of the States Assembly, head of the judiciary and as civic head of the island carries out various ceremonial roles. As one of the Crown dependencies, Jersey is autonomous and self-governing, with its own independent legal, administrative and fiscal systems. In 1973, the Royal Commission on the Constitution set out the duties of the Crown as including: ultimate responsibility for the 'good government' of the Crown dependencies; ratification of island legislation by Order in Council (Royal Assent); international representation, subject to consultation with the island authorities before concluding any agreement which would apply to them; ensuring the islands meet their international obligations; and defence. Queen Elizabeth II reigns in Jersey as Queen of the United Kingdom and her other Realms and Territories. "The Crown" is defined by the Law Officers of the Crown as the "Crown in right of Jersey". The Queen's representative and adviser in the island is the Lieutenant Governor of Jersey. He is a point of contact between Jersey ministers and the United Kingdom government and carries out executive functions in relation to immigration control, deportation, naturalisation and the issue of passports. Since 13 March 2017, the incumbent Lieutenant Governor has been Sir Stephen Dalton. 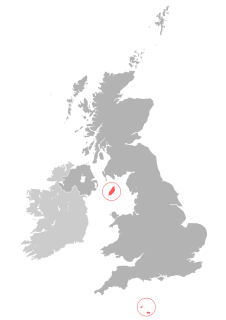 Jersey is a distinct jurisdiction for the purposes of conflict of laws, separate from the other Channel Islands, England and Wales, Scotland and Northern Ireland. Jersey law has been influenced by several different legal traditions, in particular Norman customary law, English common law and modern French civil law. Jersey's legal system is therefore described as 'mixed' or 'pluralistic', and sources of law are in French and English languages, although since the 1950s the main working language of the legal system is English. The principal court is the Royal Court, with appeals to the Jersey Court of Appeal and, ultimately, to the Judicial Committee of the Privy Council. The Bailiff is head of the judiciary; the Bailiff and the Deputy Bailiff are appointed by the Crown. Other members of the island's judiciary are appointed by the Bailiff. The parishes of Jersey are further divided into vingtaines (or, in St. Ouen, cueillettes), divisions that are historic. Today they are used chiefly for purposes of local administration and electoral constituency. The Connétable is the head of each parish, elected at a public election for a four-year term to run the parish and to represent the municipality in the States Assembly. The Procureur du Bien Public (two in each parish) is the legal and financial representative of the parish (elected at a public election since 2003 in accordance with the Public Elections (Amendment) (Jersey) Law 2003; formerly an Assembly of Electors of each parish elected the Procureurs in accordance with the Loi (1804) au sujet des assemblées paroissiales). A Procureur du Bien Public is elected for three years as a public trustee for the funds and property of the parish and may contract when authorised by a Parish Assembly. The Parish Assembly is the decision-making body of local government in each parish; it consists of all entitled voters of the parish. Each parish elects its own force of Honorary Police consisting of Centeniers, Vingteniers and Constable's Officers. Centeniers are elected at a public election within each parish for a term of three years to undertake policing within the parish. The Centenier is the only officer authorised to charge and bail offenders. Formerly, the senior Centenier of each parish (entitled the Chef de Police) deputised for the Connétable in the States of Jersey when the Connétable was unable to attend a sitting of the States. This function has now been abolished. Although diplomatic representation is reserved to the Crown, Jersey has been developing its own international identity over recent years. It negotiates directly with foreign governments on matters within the competence of the Government of Jersey. Jersey maintains the Bureau des Iles Anglo-Normandes in Caen, France, a permanent non-diplomatic representation. A similar office, the Maison de Normandie in St. Helier, represents the Conseil général of Manche and the Regional Council of Normandy. It also houses the Consulate of France. In July 2009, a Channel Islands Tunnel was proposed to connect Jersey with Lower Normandy. Jersey is a member of the British-Irish Council, the Commonwealth Parliamentary Association and the Assemblée parlementaire de la Francophonie. Jersey wants to become a full member of the Commonwealth in its own right. In 2007, the Chief Minister and the UK Lord Chancellor signed an agreement that established a framework for the development of the international identity of Jersey. In January 2011, the Chief Minister designated one of his assistant ministers as having responsibility for external relations; he is now often described as the island's 'foreign minister'. Tax information exchange agreements (TIEAs) have been signed directly by the island with several countries. Jersey is neither a Member State of the European Union, nor does it have a European Union Association Agreement. It does, however, have a relationship with the EU governed by article 335(5)(c) TFEU giving effect to Protocol 3 to the UK's Treaty of Accession in 1972. However, Jersey does not appear on the list of European States and Territories outside the Union and the Communities prepared by the European Council and the Commission. This is a result of the manner of implementation of the Treaty arrangements under the Act of Accession in 1972. Jersey would have been fully within the European Communities like Gibraltar, being a European territory for whose external relations the United Kingdom was responsible, but that is limited to the Protocol 3 arrangements under article 355 TFEU to reflect the then existing relationship with the United Kingdom. Under Protocol 3, Jersey is part of the European Union Customs Union of the European Community. The common customs tariff, levies and other agricultural import measures apply to trade between the island and non-Member States. There is free movement of goods and trade between the island and Member States. EU rules on freedom of movement for workers do not apply in Jersey. However, Article 4 of the Protocol requires the island's authorities to give the same treatment to all natural and legal persons of the Communities. In Pereira, the ECJ held that the scope of this article included any matter governed by the Treaties in a territory where the Treaties are fully applicable. The island is therefore within the scope of the Treaties to a limited extent, as a European Territory. To infer, as the French Ambassador and finance minister have attempted to argue, namely that the island is outside the European Union and Communities without qualification is therefore simplistic, in law false. The German blacklisting of the island had to be hastily revoked when this was pointed out. As a result, Jersey is not part of the single market in financial services. It is not required to implement EU Directives on such matters as movement of capital, company law or money laundering. However, the island's close proximity (135 km south) and its close association with the financial sector of the U.K. has come under increasing scrutiny in recent years, with several mainline publications (e.g., The Wall Street Journal) labelling the island a tax haven. British citizens who have only a connection to Jersey, and not with the United Kingdom or another member state of the European Union, are not considered by the Jersey States to be European Union citizens. They have 'Islander status' and their Jersey-issued British passports are endorsed with the words the holder is not entitled to benefit from EU provisions relating to employment or establishment. However, it is not yet clear whether the citizenship rights in articles 18 and 21 TFEU are partly available to them as British Citizens, given the limited restriction of their rights under article 2 of the Protocol. That restriction on the exercise of certain freedoms does not apply to all Community or Union rights. The freedom of movement under the prior EC régime was and remains a separate set of rights from the Citizen rights under article 20 and 21 TFEU which include the right to move and reside. Those rights are primary citizenship rights, not a mere freedom. It might not need a Treaty change to perfect this, merely a preliminary ruling from the CJEU, and supplementary implementation measures from the Council, given the effective right of entrance and residence granted to EU nationals via Article 4 of the Protocol. Jersey residents presently do not have a right to vote in elections for the European Parliament. Jersey and Guernsey jointly opened an office in Brussels in 2010 to promote their common interests with European Union institutions. The effect of the UK leaving the European Union is uncertain. The UK have confirmed that the Crown dependencies position will be argued in the Brexit negotiations. The question of an independent Jersey has been discussed from time to time in the States Assembly. In 2005–08, a working group of the States Assembly examined the options for independence, concluding that Jersey 'is equipped to face the challenges of independence' but making no recommendations. Proposals for Jersey independence continue to be discussed outside the States. In October 2012, the Council of Ministers issued a "Common policy for external relations" which noted "that it is not Government policy to seek independence from the United Kingdom, but rather to ensure that Jersey is prepared if it were in the best interests of islanders to do so". On the basis of the established principles the Council of Ministers decided to "ensure that Jersey is prepared for external change that may affect the island's formal relationship with the United Kingdom and/or European Union". Jersey is an island measuring 118.2 square kilometres (45.6 sq mi) (or 66,436 vergées), including reclaimed land and intertidal zone. It lies in the English Channel, about 12 nautical miles (22 km; 14 mi) from the Cotentin Peninsula in Normandy, France, and about 87 nautical miles (161 km; 100 mi) south of Great Britain. It is the largest and southernmost of the Channel Islands, with a maximum land elevation of 143 m (469 ft) above sea level. The central two parishes (St.John and St.Lawrence) occupy the centre of the island and offer many direct routes from north to south through a number of valleys including water works valley. The climate is temperate with mild winters and mild to warm summers. The Atlantic Ocean has a moderating effect on temperature in Jersey, as water has a much greater specific heat capacity than air and tends to heat and cool slowly throughout the year. This has a warming influence on coastal areas in winter and a cooling influence in summer. The highest temperature recorded was 36.0 °C (96.8 °F) on 9 August 2003, and the lowest temperature recorded was −10.3 °C (13.5 °F) on 5 January 1894. By comparison, higher temperatures are found in mainland United Kingdom, which achieved 38.5 °C (101.3 °F) in Faversham, Kent on 10 August 2003. The impact of the Atlantic Ocean and coastal winds ensure that Jersey is slightly cooler than the southern and central parts of England during the summer months. Snow falls rarely in Jersey; some years will pass with no snow fall at all. The terrain consists of a plateau sloping from long sandy bays in the south to rugged cliffs in the north. The plateau is cut by valleys running generally north-south. The following table contains the official Met Office station averages for 1981–2010 for Jersey, being located 7.2 kilometres (4.5 mi) from St. Helier. Jersey's economy is based on financial services (40% of GVA in 2012), tourism and hospitality (hotels, restaurants, bars, transport and communications totalling 8.4% of GVA in 2012), retail and wholesale (7% of GVA in 2012), construction (6.2% of GVA in 2012) and agriculture (1.3% of GVA in 2012). Thanks to specialisation in a few high-return sectors, at purchasing power parity Jersey has high economic output per capita, substantially ahead of all of the world's large developed economies. Gross national income in 2009 was £3.7 billion (approximately £40,000 per head of population). However, this is not indicative of each individual resident's purchasing power, and the actual standard of living in Jersey is comparable to that in the United Kingdom outside central London. The island is recognised as one of the leading offshore financial centres. The growth of this sector however has not been without its controversies as Jersey has been characterised by critics and detractors as a place in which the "leadership has essentially been captured by global finance, and whose members will threaten and intimidate anyone who dissents." In June 2005 the States introduced the Competition (Jersey) Law 2005 to regulate competition and stimulate economic growth. This competition law was based on that of other jurisdictions. Tourism supports not only hotels, but also retail and services: in 2015 there were 717,600 visitors spending £243 million. Duty-free goods are available for purchase on travel to and from the island. In 2009 57% of the Island's area was agricultural land (an increase on 2008). Major agricultural products are potatoes and dairy produce; agriculture's share of GVA increased 5% in 2009, a fifth successive year of growth. Jersey cattle are a small breed of cow widely known for its rich milk and cream; the quality of its meat is also appreciated on a small scale. The herd total in 2009 was 5,090 animals. Fisheries and aquaculture make use of Jersey's marine resources to a total value of over £6 million in 2009. Farmers and growers often sell surplus food and flowers in boxes on the roadside, relying on the honesty of customers to drop the correct change into the money box and take what they want. In the 21st century, diversification of agriculture and amendments in planning strategy have led to farm shops replacing many of the roadside stalls. 53,460 people were employed in Jersey as of December 2010[update]: 24% in financial and legal services; 16% in wholesale and retail trades; 16% in the public sector; 10% in education, health and other private sector services; 10% in construction and quarrying; 9% in hotels, restaurants and bars. Jersey along with Guernsey has its own lottery called the Channel Islands Lottery that was launched in 1975. On 18 February 2005, Jersey was granted Fairtrade Island status. Until the 20th century, the States relied on indirect taxation to finance the administration of Jersey. The levying of impôts (duties) different from those of the United Kingdom was granted by Charles II and remained in the hands of the Assembly of Governor, Bailiff and Jurats until 1921 when that body's tax raising powers were transferred to the Assembly of the States, leaving the Assembly of Governor, Bailiff and Jurats to serve simply as licensing bench for the sale of alcohol (this fiscal reform also stripped the Lieutenant-Governor of most of his effective remaining administrative functions). The Income Tax Law of 1928 introducing income tax was the first law drafted entirely in English. Income tax has been levied at a flat rate of 20% set by the occupying Germans during the Second World War. Because value added tax (VAT) has not been levied in the island, luxury goods have often been cheaper than in the UK or in France, providing an incentive for tourism from neighbouring countries. The absence of VAT has also led to the growth of the fulfilment industry, whereby low-value luxury items, such as videos, lingerie and contact lenses are exported, avoiding VAT on arrival and thus undercutting local prices on the same products. In 2005, the Government of Jersey announced limits on licences granted to non-resident companies trading in this way. Low-value consignment relief provided the mechanism for VAT-free imports from the Channel Islands to the UK until 1 April 2012, at which time this policy of the UK government was binned. Although Jersey does not have VAT, the Government of Jersey introduced a goods and services tax (GST) on 6 May 2008, at a standard rate of 3%. The rate was amended to 5% on 1 June 2011. Although GST is at 5%, shopping in Jersey is still far more expensive than in the UK. Food is not exempt, unlike with VAT. Jersey is not subject to European Union fiscal legislation, and its "Zero/Ten" corporate tax legislation will be compliant with the Code of Conduct in business taxation as from the removal of the deemed distribution and attribution anti-avoidance legislation as of 31 December 2011[update], which was apparently criticised by certain unnamed members of the Code of Conduct Group, a subsidiary body of ECOFIN. The Code of Conduct Group, at least in theory, keeps most of its documentation and discussion confidential. The European Commission has confirmed that the Code is not a legal instrument, and therefore is not legally binding, only becoming of limited "political" authority once a unanimous report has been adopted by the Group at the end of the Presidency concerned. Jersey is ranked as a tax haven by many organisations with the Financial Secrecy Index ranking Jersey as 16th, one rank behind the United Kingdom as of 2015[update]. Twin cash machines at a bank that dispensed a choice of Bank of England or Jersey banknotes. Since the intervention of the Treasurer of the States in 2005, cash machines generally (with the exception of those at the airport and Elizabeth Harbour) no longer dispense British notes. 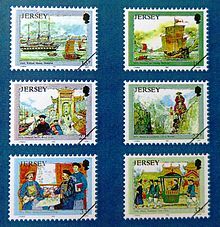 Jersey issues its own postage stamps and Jersey banknotes and coins that circulate with UK coinage, Bank of England notes, Scottish notes and Guernsey currency within the island. Jersey currency is not legal tender outside Jersey: However, in the United Kingdom it is acceptable tender and can be surrendered at banks within that country in exchange for Bank of England-issued currency on a like-for-like basis. The main currency of Jersey is the pound, although in many places the euro is accepted because of the location of the island. Pound coins are issued, but are much less widely used than pound notes. Designs on the reverse of Jersey pound coins include historic ships built in Jersey and a series of the twelve parishes' crests. The motto around the milled edge of Jersey pound coins is Insula Caesarea (Island of Jersey). Two pound coins are also issued, but in very small quantities. In July 2014, the Jersey Financial Services Commission approved the establishment of the world's first regulated Bitcoin fund, at a time when the digital currency was being accepted by some local businesses. Mont Orgueil was built in the 13th century after its split from Normandy. Censuses have been undertaken in Jersey since 1821. In the 2011 census, the total resident population was estimated to be 97,857, of whom 34% live in Saint Helier, the island's only town. Approximately half the island's population was born in Jersey; 31% of the population were born elsewhere in the British Isles, 7% in continental Portugal or Madeira, 8% in other European countries and 4% elsewhere. The people of Jersey are often called Islanders or, in individual terms, Jerseyman or Jerseywoman. Some Jersey-born people identify as British. Jersey belongs to the Common Travel Area and the definition of "United Kingdom" in the British Nationality Act 1981 is interpreted as including the UK and the Islands together. For immigration and nationality purposes, the United Kingdom generally treats Jersey as though it were part of the UK. Jersey is constitutionally entitled to restrict immigration by non-Jersey residents, but control of immigration at the point of entry cannot be introduced for British, certain Commonwealth and EEA nationals without change to existing international law. Immigration is therefore controlled by a mixture of restrictions on those without residential status purchasing or renting property in the island and restrictions on employment. Migration policy is to move to a registration system to integrate residential and employment status. Jersey maintains its own immigration and border controls. United Kingdom immigration legislation may be extended to Jersey by order in council (subject to exceptions and adaptations) following consultation with Jersey and with Jersey's consent. Although Jersey citizens are full British citizens, an endorsement restricting the right of establishment in European Union states other than the UK is placed in the passports of British citizens connected solely with the Channel Islands and Isle of Man. Those who have a parent or grandparent born in the United Kingdom, or who have lived in the United Kingdom for five years, are not subject to this restriction. Historical large-scale immigration was facilitated by the introduction of steamships (from 1823). By 1840, up to 5,000 English people, mostly half-pay officers and their families, had settled in Jersey. In the aftermath of 1848, Polish, Russian, Hungarian, Italian and French political refugees came to Jersey. Following Louis Napoléon's coup of 1851, more French proscrits arrived. By the end of the 19th century, well-to-do British families, attracted by the lack of income tax, were settling in Jersey in increasing numbers, establishing St Helier as a predominantly English-speaking town. Seasonal work in agriculture had depended mostly on Bretons and mainland Normans from the 19th century. The growth of tourism attracted staff from the United Kingdom. Following liberation in 1945, agricultural workers were mostly recruited from the United Kingdom – the demands of reconstruction in mainland Normandy and Brittany employed domestic labour. Until the 1960s, the population had been relatively stable for decades at around 60,000 (excluding the Occupation years). Economic growth spurred immigration and a rise in population, which is, by 2013, about 100,000. From the 1960s Portuguese workers arrived, mostly working initially in seasonal industries in agriculture and tourism. Immigration has helped give aspects of Jersey a distinct urban character, particularly in and around the parish of St Helier, which contributes much to ongoing debates between development and sustainability throughout the island. Religion in Jersey has a complex history, drawn largely from different Christian denominations. In 2015, Jersey's first ever national survey of religion found that two fifths of Jersey people have no religion, with only small handfuls of Jersey people belonging to the non-Christian religions. In total, 54% said they had some form of religion, and 7% were not sure. Of those that specified a denomination of Christianity, equal proportions were 'Catholic' or 'Roman Catholic' (43%) as were 'Anglican' or 'Church of England' (44%). The remaining eighth (13%) gave another Christian denomination. The established church is the Church of England, from 2015 under the See of Canterbury (previously under the Winchester diocese). In the countryside, Methodism found its traditional stronghold. A substantial minority of Roman Catholics can also be found in Jersey. There are two Catholic private combined primary and secondary schools: De La Salle College in Saint Saviour is an all-boys school, and Beaulieu Convent School in Saint Saviour is an all-girls school; and FCJ primary school in St. Saviour. A Catholic order of Sisters has a presence in school life. Until the 19th century, indigenous Jèrriais – a variety of Norman – was the language of the island, though French was used for official business. During the 20th century, British cultural influence saw an intense language shift take place and Jersey today is predominantly English-speaking. Jèrriais nonetheless survives; around 2,600 islanders (three percent) are reckoned to be habitual speakers, and some 10,000 (12 percent) in all claim some knowledge of the language, particularly amongst the elderly in rural parishes. There have been efforts to revive Jèrriais in schools, and the highest number of declared Jèrriais speakers is in the capital. Actress Lillie Langtry, nicknamed the Jersey Lily. The dialects of Jèrriais differ in phonology and, to a lesser extent, lexis between parishes, with the most marked differences to be heard between those of the west and east. Many place names are in Jèrriais, and French and English place names are also to be found. Anglicisation of the place names increased apace with the migration of English people to the island. Some Neolithic carvings are the earliest works of artistic character to be found in Jersey. Only fragmentary wall-paintings remain from the rich mediaeval artistic heritage, after the wholesale iconoclasm of the Calvinist Reformation of the 16th century. The island is particularly famous for the Battle of Flowers, a carnival held annually since 1902. Other festivals include La Fête dé Noué (Christmas festival), La Faîs'sie d'Cidre (cidermaking festival), the Battle of Britain air display, Jersey Live Music Festival, Branchage Film Festival, food festivals, and parish events. The island's patron saint is Saint Helier. BBC Radio Jersey provides a radio service, and BBC Channel Islands News with headquarters in Jersey provides a joint television news service with Guernsey. 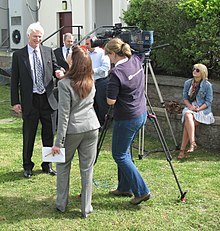 ITV Channel Television is a regional ITV franchise shared with the Bailiwick of Guernsey but with its headquarters in Jersey. Channel 103 is a commercial radio station. Bailiwick Radio broadcasts two music services, Classics and Hits, online at bailiwickradio.com, Apple & Android apps and on TuneIn. Radio Youth FM is an internet radio station run by young people. Bailiwick Express is one of Jersey's digital online news sources. Jersey has only one newspaper, the Jersey Evening Post, which is printed six days a week, and has been in publication since 1890. The traditional folk music of Jersey was common in country areas until the mid-20th century. It cannot be separated from the musical traditions of continental Europe, and the majority of songs and tunes that have been documented have close parallels or variants, particularly in France. Most of the surviving traditional songs are in French, with a minority in Jèrriais. In contemporary music, Nerina Pallot has enjoyed international success along with rock group The Gaa Gaas. Music festivals include Jersey Live, Weekender, Rock in the Park, Avanchi presents Jazz in July, the music section of the Jersey Eisteddfod and the Liberation Jersey Music Festival. In 1909, T. J. 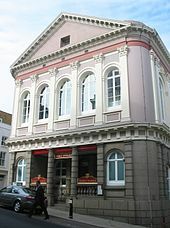 West established the first cinema in the Royal Hall in St. Helier, which became known as West's Cinema in 1923 (demolished 1977). The first talking picture, The Perfect Alibi, was shown on 30 December 1929 at the Picture House in St. Helier. The Jersey Film Society was founded on 11 December 1947 at the Café Bleu, West's Cinema. The large Art Deco Forum Cinema was opened in 1935 – during the German occupation this was used for German propaganda films. The Odeon Cinema was opened 2 June 1952 and, was later rebranded in the early 21st century as the Forum cinema. Its owners, however, struggled to meet tough competition from the Cineworld Cinemas group, which opened a 10 screen multiplex on the waterfront centre in St. Helier on reclaimed land in December 2002 and the Odeon closed its doors in late 2008. The Odeon is now a listed building. Since 1997, Kevin Lewis (formerly of the Cine Centre and the New Forum) has arranged the Jersey Film Festival, a charity event showing the latest and also classic films outdoors in 35 mm on a big screen. The 2011 festival was held in Howard Davis Park, St Saviour, on the 13–19 August 2011. First held in 2008, the Branchage Jersey International Film Festival attracts filmmakers from all over the world. Seafood has traditionally been important to the cuisine of Jersey: mussels (called moules in the island), oysters, lobster and crabs – especially spider crabs – ormers and conger. Jersey milk being very rich, cream and butter have played a large part in insular cooking. (See Channel Island milk) However, there is no indigenous tradition of cheese making, contrary to the custom of mainland Normandy, but some cheese is produced commercially. Jersey fudge, mostly imported and made with milk from overseas Jersey cattle herds, is a popular food product with tourists. 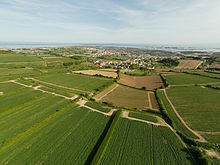 Jersey Royal potatoes are the local variety of new potato, and the island is famous for its early crop of Chats (small potatoes) from the south-facing côtils (steeply sloping fields). They were originally grown using vraic as a natural fertiliser giving them their own individual taste, only a small portion of those grown in the island still use this method. They are eaten in a variety of ways, often simply boiled and served with butter or when not as fresh fried in butter. Apples historically were an important crop. 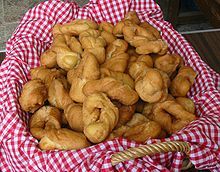 Bourdélots are apple dumplings, but the most typical speciality is black butter (lé nièr beurre), a dark spicy spread prepared from apples, cider and spices. Cider used to be an important export. After decline and near-disappearance in the late 20th century, apple production is being increased and promoted. Besides cider, apple brandy is produced. Other production of alcohol drinks includes wine, and in 2013 the first commercial vodkas made from Jersey Royal potatoes were marketed. Among other traditional dishes are cabbage loaf, Jersey wonders (les mèrvelles), fliottes, bean crock (les pais au fou), nettle (ortchie) soup, vraic buns. In its own right Jersey participates in the Commonwealth Games and in the biennial Island Games, which it first hosted in 1997 and more recently in 2015. In sporting events in which Jersey does not have international representation, when the British Home Nations are competing separately, islanders that do have high athletic skill may choose to compete for any of the Home Nations – there are, however, restrictions on subsequent transfers to represent another Home Nation. Jersey is an associate member of the International Cricket Council (ICC). The Jersey cricket team plays in the Inter-insular match among others. The Jersey cricket team competed in the World Division 4, held in Tanzania in October 2008, after recently finishing as runners-up and therefore being promoted from the World Division 5 held in Jersey. They also competed in the European Division 2, held in Guernsey during August 2008. The youth cricket teams have been promoted to play in the European Division 1 alongside Ireland, Scotland, Denmark, the Netherlands and Guernsey. In two tournaments at this level Jersey have finished 6th. For horseracing, Les Landes Racecourse can be found at Les Landes in St. Ouen next to the ruins of Grosnez Castle. The Jersey Football Association supervises football in Jersey. The Jersey Football Combination has nine teams in its top division. Jersey national football team plays in the annual Muratti competition among others. Rugby union in Jersey comes under the auspices of the Jersey Rugby Association (JRA), which is a member of the Rugby Football Union of England. Jersey Reds compete in the English rugby union system; after four promotions in five seasons, the last three of which were consecutive, they competed in the second-level RFU Championship in 2012–13. Jersey has two public indoor swimming pools. Swimming in the sea, windsurfing and other marine sports are practised. Jersey Swimming Club have organised an annual swim from Elizabeth Castle to Saint Helier Harbour for over 50 years. A round-island swim is a major challenge that a select number of swimmers have achieved. The Royal Channel Island Yacht Club is based in Jersey. There is one facility for extreme sports and some facilities for youth sports. Jersey has one un-roofed skateboarding park. Coastal cliffs provide opportunities for rock climbing. 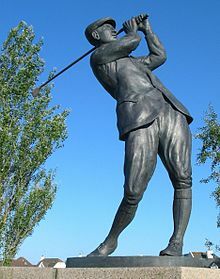 Two professional golfers from Jersey have won the Open Championship seven times between them; Harry Vardon won six times and Ted Ray won once. Vardon and Ray also won the U.S. Open once each. Harry Vardon's brother, Tom Vardon, had wins on various European tours. Wace, a Norman poet of the 12th century, is Jersey's earliest known author. Printing arrived in Jersey only in the 1780s, but the island supported a multitude of regular publications in French (and Jèrriais) and English throughout the 19th century, in which poetry, most usually topical and satirical, flourished (see Jèrriais literature).The first Jèrriais book to be published was Rimes et Poésies Jersiaises de divers auteurs réunies et mises en ordre, edited by Abraham Mourant in 1865. Writers born in Jersey include Elinor Glyn, John Lemprière, Philippe Le Sueur Mourant, Robert Pipon Marett and Augustus Asplet Le Gros. Frederick Tennyson and Gerald Durrell were among authors who made Jersey their home. Contemporary authors based in Jersey include Jack Higgins. The Government of Jersey provides education through state schools (including a fee-paying option at secondary level) and also supports private schools. The Jersey curriculum follows that of England. It follows the National Curriculum although there are a few differences to adapt for the island, for example all Year 4 students study a six-week Jersey Studies course. Jersey has a college of further education and university centre, Highlands College. As well as offering part-time and evening courses, Highlands is also a sixth form provider, working alongside Hautlieu School which offers the only non-fee-paying sixth form, and works collaboratively with a range of organisations including the Open University, University of Plymouth and London South Bank University. In particular students can study at Highlands for the two-year foundation degree in financial services and for a BSc in social sciences, both validated by the University of Plymouth. The Institute of Law is Jersey's law school, providing a course for students seeking to qualify as Jersey advocates and solicitors. It also provides teaching for students enrolled on the University of London LLB degree programme, via the International Programmes. The Institute of Law also runs a 'double degree' course: students can obtain the LLB from the University of London and a Licence en droit M1 from Toulouse 1 Capitol University; the two combine 4 years of studies in both English and French. The Open University supports students in Jersey, but they pay higher fees than UK students. Private sector higher education providers include the Jersey International Business School. Three areas of land are protected for their ecological or geological interest as Sites of Special Interest (SSI). Jersey has four designated Ramsar sites: Les Pierres de Lecq, Les Minquiers, Les Écréhous and Les Dirouilles and the south east coast of Jersey (a large area of intertidal zone). Jersey is the home of the Jersey Zoo (formerly known as the Durrell Wildlife Park) founded by the naturalist, zookeeper and author Gerald Durrell. Four species of small mammal are considered native: the wood mouse (Apodemus sylvaticus), the Jersey bank vole (Myodes glareolus caesarius), the Lesser white-toothed shrew (Crocidura suaveolens) and the French shrew (Sorex coronatus). Three wild mammals are well-established introductions: the rabbit (introduced in the mediaeval period), the red squirrel and the hedgehog (both introduced in the 19th century). The stoat (Mustela erminea) became extinct in Jersey between 1976 and 2000. The Green lizard (Lacerta bilineata) is a protected species of reptile; Jersey is its only habitat in the British Isles. Jersey is the only place in the British Isles where the agile frog Rana dalmatina is found. The remaining population of agile frogs on Jersey is very small and is restricted to the south west of the island. The species is the subject of an ongoing programme to save it from extinction in Jersey via a collaboration between the Government of Jersey, Durrell Wildlife Conservation Trust and Jersey Amphibian and Reptile Group (JARG), with support and sponsorship from several other organisations. The programme includes captive breeding and release, public awareness and habitat restoration activities. Trees generally considered native are the alder (Alnus glutinosa), silver birch (Betula pendula), sweet chestnut (Castanea sativa), hazel (Corylus avellana), hawthorn (Crataegus monogyna), beech (Fagus sylvatica), ash (Fraxinus excelsior), aspen (Populus tremula), wild cherry (Prunus avium), blackthorn (Prunus spinosa), holm oak (Quercus ilex), oak (Quercus robur), sallow (Salix cinerea), elder (Sambucus nigra), elm (Ulmus spp.) and medlar (Mespilus germanica). Among notable introduced species, the cabbage palm (Cordyline australis) has been planted in coastal areas and may be seen in many gardens. Notable marine species include the ormer, conger, bass, undulate ray, grey mullet, ballan wrasse and garfish. Marine mammals include the bottlenosed dolphin and grey seal. Historically the island has given its name to a variety of overly-large cabbage, the Jersey cabbage, also known as Jersey kale or cow cabbage. Japanese Knotweed Fallopia japonica is an invasive species that threatens Jersey's biodiversity. It is easily recognisable and has hollow stems with small white flowers that are produced in late summer. Other non-native species on the island include the Colorado beetle, burnet rose and oak processionary moth. Emergency services are provided by the States of Jersey Police with the support of the Honorary Police as necessary, States of Jersey Ambulance Service, Jersey Fire and Rescue Service and the Jersey Coastguard. The Jersey Fire and Rescue Service and the Royal National Lifeboat Institution operate an inshore rescue and lifeboat service; Channel Islands Air Search provides rapid response airborne search of the surrounding waters. The States of Jersey Fire Service was formed in 1938 when the States took over the Saint Helier Fire Brigade, which had been formed in 1901. The first lifeboat was equipped, funded by the States, in 1830. The RNLI established a lifeboat station in 1884. Border security and customs controls are undertaken by the States of Jersey Customs and Immigration Service. Jersey has adopted the 112 emergency number alongside its existing 999 emergency number. ^ "States adopts Jèrriais as official language". BBC. ^ "Bulletin 2: Place of birth, ethnicity, length of residency, marital status" (PDF). Retrieved 12 September 2013. ^ "Jersey Bailiff William Bailhache sworn in". BBC. Retrieved 6 February 2015. ^ a b c d e f g h "Jersey in Figures 2013 booklet" (PDF). Retrieved 1 January 2015. ^ a b "Jersey facts and figures". Retrieved 18 May 2016. ^ "Measuring Jersey's Economy" (PDF). 28 September 2016. Retrieved 8 January 2017. ^ "Jersey rejects time-zone change". BBC News. 16 October 2008. Retrieved 18 October 2008. ^ Jersey, States of. "Facts about Jersey". www.gov.je. ^ "Where is Jersey". Jersey Tourism. Archived from the original on 20 August 2006. Retrieved 15 October 2006. ^ a b "Les Écrehous & Les Dirouilles, Jersey". Ramsar Sites Information Service. Retrieved 25 April 2018. ^ "Les Minquiers, Jersey". Ramsar Sites Information Service. Retrieved 25 April 2018. ^ "Les Pierres de Lecq". Ramsar Sites Information Service. Retrieved 25 April 2018. ^ House of Commons Justice Committee. Crown dependencies. 8th Report of Session 2009–10 (HC 56-1 ed.). The Stationery Office Ltd. ISBN 978-0-215-55334-8. ^ a b "COMMON POLICY FOR EXTERNAL RELATIONS" (PDF). States of Jersey. Retrieved 8 December 2012. ^ "The British Monarchy: Channel Islands". Royal.gov.uk. Archived from the original on 21 September 2012. Retrieved 16 August 2013. ^ a b "Framework for developing the international identity of Jersey" (PDF). Retrieved 12 September 2013. ^ "Civil Unreported Templates". Statesassembly.gov.je. Archived from the original on 11 May 2011. Retrieved 31 May 2011. ^ "WRITTEN QUESTION P-3620/02 by Wolfgang Ilgenfritz (NI) to the Commission. Position of Jersey in the EU". EUR-Lex. Retrieved 2 November 2016. ^ "Jersey's relationship with the UK and EU". Gov.je. Retrieved 2 November 2016. ^ a b "Facts about Jersey". Gov.je. 30 November 2015. ^ a b "Understanding the curriculum". Gov.je. 30 November 2015. ^ a b Marguerite Syvret; Joan Stevens (1998). Balleine's History of Jersey. La Société Jersiaise. ISBN 1-86077-065-7. ^ "The Duke of York's Release to John Lord Berkeley, and Sir George Carteret, 24th of June, 1664". avalon.law.yale.edu. Retrieved 22 September 2011. ^ "So what's all this stuff about Nova Caesarea??". avalon.law.yale.edu. Retrieved 22 September 2011. ^ Lepelley, René (1999). Noms de lieux de Normandie et des îles Anglo-Normandes. Paris: Bonneton. ISBN 2862532479. ^ "Old Norse Words in the Norman Dialect". Viking Network. Archived from the original on 15 November 2018. Retrieved 30 August 2016. ^ "Countryside Character Appraisal – Character Area A1: North Coast Heathland". States of Jersey. Archived from the original on 19 March 2016. Retrieved 6 October 2006. ^ "A Short Constitutional History of Jersey". Voisin & Co. 18 May 1999. Archived from the original on 26 August 2007. Retrieved 7 October 2006. ^ a b Liddicoat, Anthony (1 August 1994). A Grammar of the Norman French of the Channel Islands. Walter de Gruyter. p. 6. ISBN 3-11-012631-1. ^ Syvret, Marguerite. Balleine's History of Jersey. The History Press. pp. 50–1. ISBN 978-1860776502. ^ Ommer, Rosemary E. (1991). From Outpost to Outport. McGill-Queen's University Press. pp. 13–14. ISBN 0-7735-0730-2. ^ Weeks, Daniel J. (1 May 2001). Not for Filthy Lucre's Sake. Lehigh University Press. p. 45. ISBN 0-934223-66-1. ^ Cochrane, Willard W. (30 September 1993). The Development of American Agriculture. University of Minnesota Press. p. 18. ISBN 0-8166-2283-3. ^ Ommer, Rosemary E. (1991). From Outpost to Outport. McGill-Queen's University Press. p. 12. ISBN 0-7735-0730-2. ^ Bellows, Tony. "What was the "Occupation" and why is "Liberation Day" celebrated in the Channel Islands?". Société Jersiaise. Retrieved 18 August 2013. ^ "States of Jersey (Miscellaneous Provisions) Law 2011". Jerseylaw.je. 2 August 2011. Archived from the original on 22 October 2013. Retrieved 12 September 2013. ^ "States of Jersey Law 2005, Article 1". Jerseylaw.je. 5 May 2006. Archived from the original on 3 October 2011. Retrieved 12 September 2013. ^ a b Shaxson, N. (2011). Treasure islands: Tax havens and the men who stole the world. London: The Bodley Head. ^ Jersey, States of. "Council of Ministers adopts 'Government of Jersey' identity". www.gov.je. Retrieved 9 February 2019. ^ "States of Jersey Law 2005, Article 18". Jerseylaw.je. 5 May 2006. Archived from the original on 3 October 2011. Retrieved 12 September 2013. ^ "States of Jersey Law 2005, Article 24". Jerseylaw.je. 5 May 2006. Archived from the original on 3 October 2011. Retrieved 12 September 2013. ^ States of Jersey Official Report, 3 May 2011, 5.1. Statement by the Chief Minister regarding the appointment of a new Chief Executive to the Council of Ministers. ^ "States of Jersey Law 2005, Article 3". Jerseylaw.je. 5 May 2006. Archived from the original on 3 October 2011. Retrieved 12 September 2013. ^ House of Commons, Justice Committee (23 March 2010). Crown dependencies (PDF). 8th Report of Session 2009–10. London: The Stationery Office. ISBN 978-0-215-55334-8. ^ Royal Commission on the Constitution 1969–1973 (1973). Report. Part XI of Volume 1. London. ^ Jersey Law Review. "Lé Rouai, Nouot' Duc". Archived from the original on 16 October 2014. Retrieved 12 October 2014. ^ "Public Hearing – Review of the Roles of the Crown Officers" (PDF). 20 July 2010. Archived from the original (PDF) on 12 August 2011. ^ Office of the Lieutenant Governor. "Lieutenant-Governor". Archived from the original on 12 August 2011. Retrieved 22 August 2011. ^ Collins of Mapesbury, Lord; More; McLean; Briggs; Harris; McLachlan (2010). Dicey, Morris & Collins on the Conflict of Laws (14th ed.). London: Sweet & Maxwell. ISBN 978-1-84703-461-8. ^ See generally S Nicolle (2009). The Origin and Development of Jersey law: an Outline Guide (5th ed.). St Helier: Jersey and Guernsey Law Review. ISBN 978-0-9557611-3-3. and "Study Guide on Jersey Legal System and Constitutional Law". Jersey: Institute of Law. Archived from the original on 28 December 2013. ^ "Jersey-France tunnel plan talks". BBC News. 14 July 2009. Retrieved 13 August 2013. ^ "Meet our new foreign minister « This Is Jersey". Thisisjersey.com. Archived from the original on 17 January 2011. Retrieved 12 September 2013. ^ "A new role of great importance". Thisisjersey.com. 17 January 2011. Archived from the original on 22 January 2011. Retrieved 12 September 2013. ^ "TAX INFORMATION EXCHANGE AGREEMENTS (TIEAs)" (PDF). Retrieved 6 November 2011. ^ Treaty on the Functioning of the European Union, Article 355(5)(c) TFEU states "the Treaties shall apply to the Channel Islands and the Isle of Man only to the extent necessary to ensure the implementation of the arrangements for those islands set out in the Treaty concerning the accession of new Member States to the European Economic Community and to the European Atomic Energy Community signed on 22 January 1972". ^ "''Rui Alberto Pereira Roque v His Excellency the Lieutenant Governor of Jersey'', Case C-171/96 (European Court of Justice)". Eur-lex.europa.eu. Retrieved 12 September 2013. ^ Sesit, M (17 September 1996). "Offshore Hazard: Isle of Jersey Proves Less Than a Haven to Currency Investors". The Wall Street Journal. ^ States of Jersey (4 February 2008). "Status of Channel Islands in the European Union" (PDF). Retrieved 20 December 2011. ^ States of Jersey. "Islander status". Retrieved 23 August 2011. ^ "Second Interim Report of the Constitution Review Group". Statesassembly.gov.je. Archived from the original on 11 May 2011. Retrieved 31 May 2011. ^ "Legal ideas of political importance". Thisisjersey.com. Archived from the original on 2 July 2011. Retrieved 12 September 2013. ^ "Sovereignty or dependency on agenda at conference". Thisisjersey.com. 17 September 2010. Archived from the original on 2 July 2011. Retrieved 12 September 2013. ^ Geographically it is not part of the British Isles. 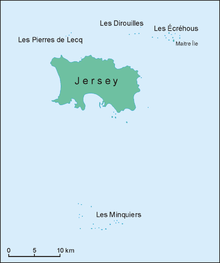 As of 15 October 2006, the States of Jersey indicates that the island is situated "only 22 km off the northwest coast of France and 140 km south of England". ^ "CIA – The World Factbook – Jersey". Central Intelligence Agency. 5 October 2006. Retrieved 7 October 2006. ^ "Jersey Climate Normals 1981–2010". Met Office. May 2015. Retrieved 8 May 2015. ^ "Jersey Climate Extremes". Voodoo Skies. October 2015. Archived from the original on 4 March 2016. Retrieved 8 October 2015. ^ "Competition (Jersey) Law 2005" (PDF). Jcra.je. Archived from the original (PDF) on 14 June 2007. Retrieved 16 August 2013. ^ Jersey, States of. "Tourism statistics". www.gov.je. Retrieved 18 October 2017. ^ Davenport, Philippa (20 May 2006). "Jersey's cash cow". Financial Times. Retrieved 7 October 2006. ^ Witmer, Jason (11 June 2004). "CROPP contracts brings profitability to Ohio grass-based, organic dairies". The Rodale Institute. Retrieved 7 October 2006. ^ "Island achieves Fairtrade status". BBC News. 24 February 2005. Retrieved 6 October 2006. ^ "Harmful tax competition – Taxation and Customs Union – European Commission". Taxation and Customs Union. ^ "Jersey approve Bitcoin fund launch on island". BBC news. Retrieved 10 July 2014. ^ "Jersey Census 2011 Bulletin no 1" (PDF). States of Jersey. December 2011. ^ "Jersey Census 2011 Bulletin no 2" (PDF). States of Jersey. January 2012. ^ "Visas / entry clearances / work permit issue". Home Affairs, Customs & Immigration, Immigration. States of Jersey. Archived from the original on 10 October 2007. Retrieved 14 September 2009. Passengers arriving from outside of the Common Travel Area (United Kingdom, Republic of Ireland, Channel Islands and the Isle of Man) will pass through an Immigration control. ^ Johnson, Henry (2016) Encountering Urbanization on Jersey: Development, Sustainability, and Spatiality in a Small Island Setting. Urban Island Studies. ^ "Jersey Census 2001: Chapter 2: Population Characteristics" (PDF). States of Jersey. Retrieved 15 November 2018. ^ Jersey Annual Social Survey: 2015 (PDF). States of Jersey. p. 8. Retrieved 2 December 2015. ^ "The Jersey Battle of Flowers". Jersey Battle of Flowers Association. 2005. Archived from the original on 25 August 2006. Retrieved 15 October 2006. ^ "La Fête dé Noué". Archived from the original on 22 December 2010. Retrieved 18 September 2011. ^ "La Faîs'sie d'Cidre". Retrieved 18 September 2011. ^ Falle, Samuel. "Saint Helier – Saint Hélyi – Saint Hélier". 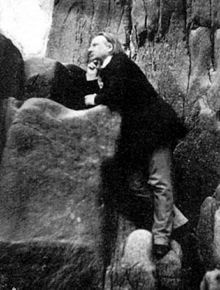 Geraint Jennings, Société Jersiaise. Archived from the original on 14 December 2004. Retrieved 15 October 2006. 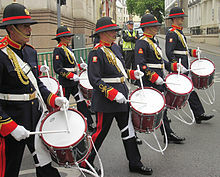 ^ "Band of the Island of Jersey". Archived from the original on 7 September 2011. Retrieved 18 September 2011. ^ "Liberation Jersey Music Festival". Retrieved 18 September 2011. ^ "Historic Document Reference : HE0024". Mygov.je. Retrieved 16 August 2013. ^ "Former Odeon Cinema Building sold to Freedom Church Jersey". Archived from the original on 2 December 2012. ^ "Jersey Film Festival". Retrieved 18 September 2011. ^ "Branchage Film Festival". Archived from the original on 15 September 2011. Retrieved 18 September 2011. ^ "La Mare Wine Estate". Retrieved 28 August 2013. ^ "Double vodka on the Rock". Jersey Evening Post. 1 June 2013. Retrieved 28 August 2013. ^ "Island Games Jersey 2015 Bid | Home". Jersey2015.com. Archived from the original on 25 March 2012. Retrieved 26 April 2012. ^ "Jersey Rugby Football Club". Jrfc.je. Retrieved 26 April 2012. ^ Pryor, Tim (23 April 2012). "Jersey promoted: The rise and rise of an island side". BBC Radio Jersey. BBC Sport. Retrieved 13 May 2012. ^ Jersey, States of. "Understanding the curriculum". www.gov.je. Retrieved 17 July 2017. ^ "L'Office du Jèrriais". www.jerriais.org.je. Retrieved 17 July 2017. ^ "South East Coast of Jersey, Channel Islands". Ramsar Sites Information Service. Retrieved 25 April 2018. ^ "Protected Coastlines (Ramsar)". States of Jersey www.gov.je. 2016. Retrieved 28 June 2016. ^ "Time to be a zoo again". Durrell. ^ "Birds on the Edge Project". Retrieved 28 June 2016. ^ "Agile frog protection plans". States of Jersey www.gov.je. 2016. Retrieved 28 June 2016. ^ "Agile frog". Durrell Wildlife Conservation Trust. Archived from the original on 6 January 2009. Retrieved 28 June 2016. ^ "A-Z of Fish". Jersey.com. 21 August 2008. Archived from the original on 24 November 2010. Retrieved 31 May 2011. ^ "Giant cabbage « Jersey Evening Post". Jerseyeveningpost.com. Archived from the original on 6 June 2014. Retrieved 3 June 2014. ^ a b Barnsley, S; Cary, E; Pienkowski, M; Wensink, C (2016). Measures of performance by 2016 of UK Overseas Territories and Crown Dependencies in implementing the 2001 Environment Charters or their equivalents and moving towards the Aichi Targets and Sustainable Development Targets (PDF) (First ed.). UK Overseas Territories Conservation Forum. pp. 97, 480. ISBN 978-1-911097-03-7. Retrieved 5 July 2016. ^ "Japanese knotweed". gov.je. Department of the Environment, States of Jersey. Retrieved 5 July 2016. ^ "Contacts". Gov.je. Retrieved 31 May 2011. ^ "Jersey Fire and Rescue Service". Gov.je. Retrieved 31 May 2011. ^ "Jersey Coastguard". Portofjersey.je. Archived from the original on 2 June 2011. Retrieved 31 May 2011. ^ Ivor Bisson (3 February 2011). "CI Air Search Home page". Ci-airsearch.com. Retrieved 31 May 2011. ^ "St Helier History". Rnli.org.uk. 14 December 1982. Retrieved 12 July 2012. The Archaeology and Early History of the Channel Islands, Heather Sebire, 2005. Dolmens of Jersey: A Guide, James Hibbs (1988). A Guide to The Dolmens of Jersey, Peter Hunt, Société Jersiaise, 1998. "Jersey". The World Factbook. Central Intelligence Agency. Politics of the Bailiwick of Jersey takes place in a framework of a parliamentary representative democratic constitution. Saint Helier is one of the twelve parishes of Jersey, the largest of the Channel Islands in the English Channel. St Helier has a population of about 33,500, roughly 34.2% of the total population of Jersey, and is the capital of the Island. The urban area of the parish of St Helier makes up most of the largest town in Jersey, although some of the town area is situated in adjacent St Saviour, with suburbs sprawling into St Lawrence and St Clement. The greater part of St Helier is rural. The culture of Jersey is the culture of the Bailiwick of Jersey. This has been shaped by Jersey's indigenous Norman language and traditions as well as French and British cultural influences, to which have been added cultural trends from immigrant communities such as the Bretons and the Portuguese. 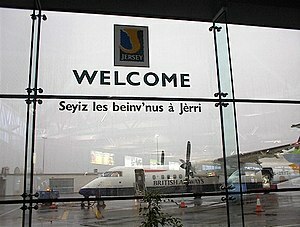 Jèrriais literature is literature in Jèrriais, the Norman dialect of Jersey in the Channel Islands. Saint Martin is one of the twelve parishes of Jersey in the Channel Islands. Historically it was called "Saint Martin le Vieux" to distinguish it from the present day parish of Grouville. Trinity is one of the twelve parishes of Jersey in the Channel Islands, and located the north east of the island. Les Platons is the highest point in Jersey. Saint John is one of the twelve parishes of Jersey and is situated on the north coast of the island. Saint Ouen is one of the twelve parishes of Jersey in the Channel Islands. It is in the north west of Jersey. The parish is the largest parish by surface area, covering 8,341 vergées (15 km²). Saint Lawrence is one of the twelve parishes of Jersey in the Channel Islands. The parish covers 5,258 vergées (9.5 km²) and occupies the centre of the Island. The States Assembly is the parliament of the British Crown dependency of Jersey. Despite its small size, the population of Jersey is made of people with a diverse range of religions and beliefs. Traditionally seen as a Christian island, Jersey's established church is the Church of England, and Anglicanism and Catholicism are practised on the island in roughly equal numbers. Together, these religions account for around half the population of Jersey. Other denominations of Christianity and other religions such as Islam, Judaism, Sikhism, and Buddhism account for handfuls of people on the island. In recent years, irreligion has been an increasing force in Jersey, with two fifths of the population identifying as having no religion. This number rises to 52% for Jersey people under 35. The Minquiers are a group of islands and rocks, about 15 km (9.3 mi) south of Jersey. The Minquiers forms part of the Bailiwick of Jersey. They are administratively part of the Parish of Grouville. The Bailiwick of Jersey, a crown dependency in the Channel Islands, off the French coast of Normandy, has two official languages: English and French. Traditionally, Jèrriais, a variety of the ancient Norman language, has been the dominant language of the Bailiwick, but the past century has seen a great decline in its usage, as well as the use of French. Jersey is a state in which capital punishment has been abolished. Jersey is a self-governing parliamentary democracy under a constitutional monarchy, with its own financial, legal and judicial systems, and the power of self-determination, which has relations with other countries, territories and international organisations.